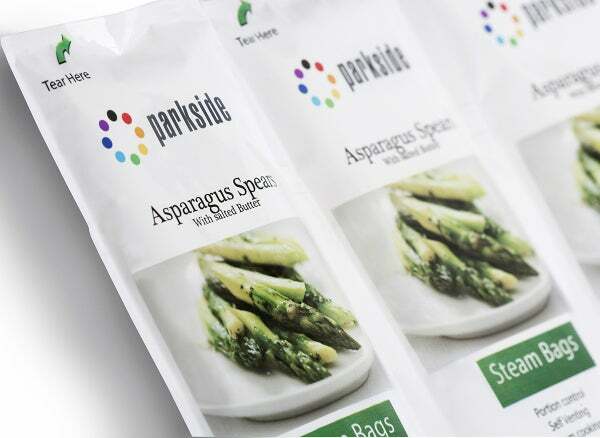 Rivaling existing packaging formats in the convenience foods market, Parkscribe Steam is a hassle-free, flexible microwavable pack. Paula Birch, head of sales at Parkside, said: "More consumers shop ‘for tonight’ or for the next couple of days, which has created a clear demand for portion-sized, fast and convenient home cooking solutions. Parkscribe Steam packs can be manufactured to incorporate any number of compartments, giving brands and retailers complete flexibility, whilst enabling consumers to choose the number of individual packs they wish to use, cutting food waste and addressing portion control issues. "What makes this product unique is its self-venting capabilities. Parkscribe Steam utilises a special food safe lacquer and a lasered registered seal in the pack that degrades under heat and pressure to self-vent, allowing the contents to be cooked in a microwave without the consumer having to burst, cut or open the pack prior to cooking." The pack is part of the Parkscribe family of cook ready solutions from Parkside which uses laser-scribing technology to create an integral opening of any size, shape or position as part of pack design; in the case of Parkscribe Steam this relates to the clever pack venting feature. Parkscribe Steam is cost-effective as it can be incorporated on to standard existing packaging lines, removing the need for investment in additional machines. It also has no impact on line efficiency and does not require an increase in materials usage, having a positive impact on the environment. Mrs Birch continued: "Convenience is one of the fastest growing grocery retail trends globally and as a leading packaging manufacturer we want to tap into this need and deliver innovative solutions to brands, retailers and consumers. Parkscribe Steam is quick and easy, allowing consumers to take products straight from the freezer to the microwave, and also offers retailers peace of mind as the pack is fully sealed, leaving no holes for contamination."